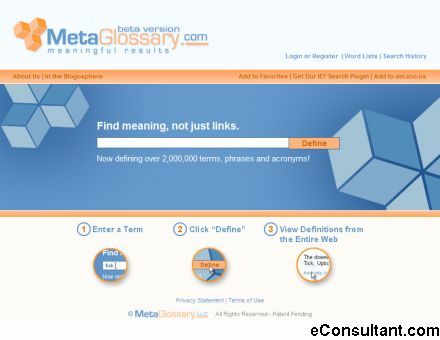 Description : MetaGlossary harvests definitions from the entire web, the world’s largest, constantly-updated repository of information. Hence, it surpasses traditional dictionaries, which grow more out of date with each passing day. MetaGlossary is as dynamic as the web, offering the most current information out there on the most contemporary topics.